Tokyo - a city of neon lights, endless metropolis and packed with citygoers. After your fifth visit, maybe you are tired of the bright city lights and grey concrete, you will be surprised to find that once you venture outside the well-trodden paths of the city center, you will find loads of natural scenery and beauty that Japan has to offer. Most importantly, you do not need to travel too far. That was what the hubby and I did on our one of our visits to Tokyo. We wanted to go off the beaten path and check out somewhere new that we had not been to. 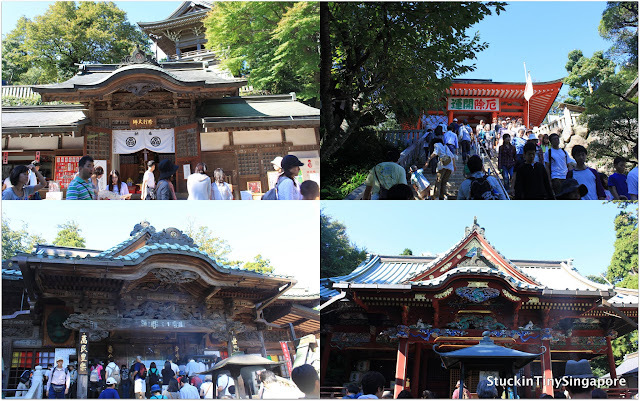 The place we checked out is Mount Takao 高尾山. It is a mountain located within metropolitan Tokyo, in city of Hachiōji. Therefore it is within easy reach of Tokyo using the Chuo line from either Tokyo or Shinjuku station. It takes only 50 minutes to reach to Takao station before changing to Keio line to Takaosanguchi, the closest station to Mount Takao. What is wonderful about Mount Takao with it's convenient proximity of Tokyo and yet it offers visitors beautiful scenery, nature trails and amazing views. There is also a temple located there for you to visit. Not many tourists knows about the place, so you will be rubbing shoulders with the locals if you do visit on the weekends. The location gets more than 2.5 million visitors a year. Mount Takao's peak is over 599 meters (1,965 ft) tall and on clear days if you hike to the top on the 8 different trails available, you may be able to see Tokyo, Mount Fuji even as far as Yokohama. If you are in Tokyo in november, do consider going there as it offers amazing autumn foliage viewing opportunities. Fret not if you are not fit enough or just plain lazy to do the whole course up to the peak on foot, there is a ropeway or furnicular ride that takes you halfway up the mountain. From the midway station, it is only 30 minutes scenic walk to the summit, which is well worth the effort. For the more adventurous, there are 8 trails to choose from either from the base to the top or explore the mountain. 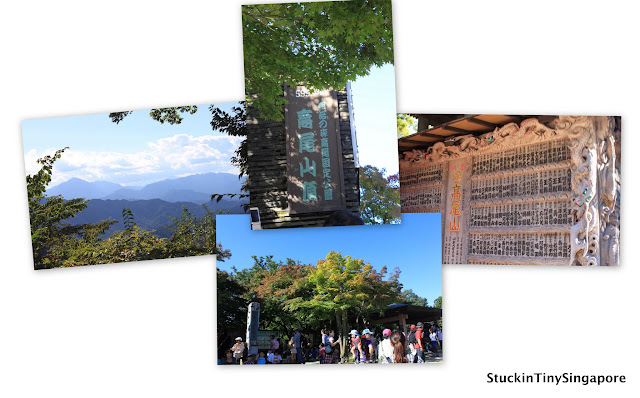 For more information on the trails, do check out the Mount Takao website. It has a wealth of information to help you to plan your trip there. Meantime, here are the photos to share. We spent a lovely day at Mount Takao. The walk up to the summit was refreshing. Despite the crowds, everybody was very orderly and polite. The views were great. We joined the crowd back down the mountain as we bought a return ticket on the furnicular. Back at Takaosanguchi, the town was quaint, dotted with little shops that sells Japanese souvenirs. The greedy me spotted some japanese goodies and had to join the queue to get one. That was a lovely end of a gorgeous day out of Tokyo :). More to come next time.